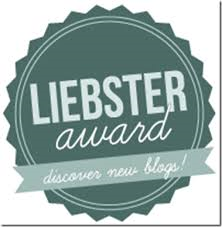 I want to express my gratitude to Marla at Pendulum World for nominating my blog for the Liebster Award! I absolutely love Marla’s inspiring blog about motherhood and other life adventures. She is such a gifted writer and a true kindred spirit! Please do check out her blog, and I’m sure you will agree! What is this award, you ask? Or maybe you’re not asking … but I will try to explain it anyway. 🙂 Liebster is a German word that means dearest, lovely, endearing. This award is usually given to relatively new, up and coming bloggers, and is a way to let others know about them. Nominate 5 bloggers who you feel deserve this award and who have less than 200 followers. Answer questions posted by the presenter and ask your nominees 5 questions. 1. I love lighthouses. I can’t think of anything more beautiful than the rays of light that shine through the dark over the open seas, guiding the weary and lost back to shore. 2. I am an extroverted introvert. Deep down, I cherish quiet times to myself and usually feel a bit drained after a large gathering. But I genuinely love being with others, especially one-on-one or in smaller groups. 3. I am a disorganized perfectionist. I love when things are neat, organized and uncluttered. Yet, I am too disorganized to make that happen (I blame it on my three kiddos as they really cramp my style – but worth it!). 5. When I was younger, some of my friends used to say I reminded them of an Asian version of Shelley Long (remember of Cheers fame?). I don’t really get this comparison … never even watched that show. I’m not sure whether to take this as a compliment or insult – but just thought I’d share! Remember, the emphasis here is randomness! I began blogging out of brokenness. It was an attempt to turn my lemon into lemonade so to speak. I was in a desperate place, trying to manage a chronic illness and motherhood, while trying to hold on to faith in God. I write to encourage and connect with others. I look up to my parents who had to raise an ultra-sensitive child like me – not an easy task. I’ve been told it was like raising a faucet! What brings you the most peace in life? God’s promises in His Word. There is nothing more rock solid than that for me. Music also gives me peace. The older I get, the more mellow it has become. Soon I will be listening to elevator music, like, all the time. I admit that traveling with three kids can feel less like a vacation and more like an impossible feat, no matter the destination. So I love places that are simple, slow-paced, and filled with natural beauty … and a little shopping helps. 🙂 My top places to travel are Hawaii because that’s where my family’s roots are, Alaska because its beauty is unsurpassed and we will always hold precious memories of being with my father-in-law, and the eastern Canadian seaboard because of its quaintness and simplicity. Life in Slow Motion – a thoughtful, honest and well-written journey through chronic pain and faith. The Goal List – a wonderful and inspiring blog about dreaming big and encouraging others to do the same. Where Grace Abounds – a biblically sound, thought-provoking blog about following Christ (written by a mother of six!). Simply for One – a beautifully written blog by a mother and follower of Christ whose words have encouraged me time and time again. Sarcoidosis Soldier – a “real look” at one person’s journey through chronic illness that shines with humor, hope and honesty. 2. What would a perfect day look like for you? 3. What is one of your favorite childhood past-times? 5. If you could travel anywhere, where would you go? And why? You are so sweet, Kim! And I loved getting to learn more about you! You are such a graceful, kind, and genuine person. I’m just so glad I have met you! First, how inspiring that you were running! Second, that is too funny that you thought you saw me! 🙂 I think it would be wonderful to actually be in the same town. It is so crazy to think how much we can connect and encourage one another across the miles. I have been seriously so blessed by that! Congrats Kim! How fun getting to know you a little more. You are such a sweet soul with amazing insight. Your blog and Marla’s are both fairly new to me, but I’m loving both! Thank you so much for your encouragement. Every time I think I am out of writing ideas, God will remind me of something … and I am so humbled by what I am learning through this great but imperfect process. I admire your blog and insight as well! Kim – thank you for the nomination…very sweet! I loved reading this post and getting to know you a little better.